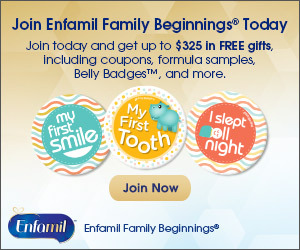 Enfamil is offering free formula samples for baby, plus fun & free belly badges for pregnant moms-to-be. Also, your budget will thank you when you redeem money-saving coupons. Quick and easy sign up by following the link.